"Our sense experience of color is relative. People from the same culture may agree on the connotations, natural associations, and psychological symbolisms of certain basic colors, but the slightest modification in tone, hue or shade can easily complicate these articulated values. 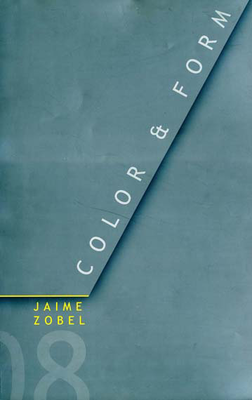 In their effort to discover and exhaustive logic to explain the way we perceive color, philosophers, scientists, artists and writers have for centuries raised intriguing questions that inquired into its nature. But colors continue to resist definition. Refusing to be fixed on any color-wheel, they keep on blending into each other until our certainties blur once more into the ineffable. Still, it cannot be denied that when presented in new and surprisings ways, colors evoke powerful emotions and can leave us groping for words. Back in the 1950s, practitioners of the color field style like Mark Rothko and Barnett Newman painted abstract canvases with large areas of solid color. In spite of their austere manners, non-figurative and non-gestural, they manage to convey a wide range of emotions. With contrasting colors and geometric forms they allow the viewer to experience depths of feeling, both sensual and spiritual, that comes close to expressing the sublime in painting.